Au Gres-Sims Superintendent, Jeffrey Collier, and Au Gres entrepreneurial business leader and Chamber of Commerce member, John Stanley, invite you to listen and enjoy the following Podcasts which are the engaging products of a unique joint communications project between the Au Gres Area Chamber of Commerce and the Au Gres-Sims School District. These weekly "Huron Forward" Podcasts focus on all topics related to: Leadership, communication, branding, education, business opportunity, entrepreneurial ventures, organizational partnerships, and the high quality of life experienced throughout the region. The dialogues highlight a primary celebration of the positive energy and proactive initiatives taking place within the greater Au Gres area, Arenac County, and Northeast Michigan. "Our Huron Forward Podcast show is the organic result of a series of brainstorm sessions that we (John and I) had four years ago about how to better harness available technology, within an existing communication platform, that would allow us to directly speak to community stakeholders through the voices and lenses of our leadership positions as a city manager and superintendent. By simply aligning our "communication arrows," we have jointly broadened the scope of our celebratory story-telling capacity to promote and share the amazing quality of life experienced throughout our area. Our podcast enables us to progressively establish relationships, form partnerships, and highlight proactive leadership concepts to sustain growth and "place-build" our community as a destination to live, work, and play." "In the truest sense, Huron Forward is a continuing dialogue that provides an environmental scan for our listeners on a local, regional, state-wide, and global stage. We connect our audience with an eclectic guest list to provide opportunities that challenge existing perceptions or reveal new ideas for reflection or application. We also establish a communication platform to promote, legitimize, and celebrate our locally successful programs, projects, and designs for sustainable, positive community achievement." Should you experience audio playback difficulties while listening to the podcasts in Google Chrome, we recommend Internet Explorer or Mozilla FireFox. 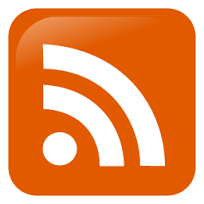 You can also subscribe to our podcast via iTunes or any other podcast app. Links are provided on the left. #77 - Culminating the end of Season 4 by celebrating the "Culture of Learning" at Au Gres-Sims and sharing information about the August 7 bond proposal. The beginning of this Podcast celebrates the "Points of Pride" and collective awards and achievements earned by the Au Gres-Sims School District throughout the 2017-18 school year. The second half of the Podcast is a focused conversation discussing Frequently Asked Questions regarding the upcoming August 7th no change to the current tax rate Au Gres-Sims community bond proposal. Your browser does not support this audio format. Click here to download the MP3 file. #76 - Broadening global experiences throughout the region in partnership with CETUSA. Huron Forward hosts Amy Nordin, the North Bay region's local coordinator of the Council for Educational Travel, USA (CETUSA). This podcast discussion highlights the positive benefits of both international student travel and ambassador host family opportunities. While celebrating multiculturalism and diversity, Au Gres-Sims continues to build a globally focused environment to engage higher-order, interdisciplinary experiences for students aligned within their established "Culture of Learning." This podcast discussion highlights the Au Gres-Sims bond proposal. On Tuesday, August 7, residents living in the Au Gres-Sims School District will vote on a school bond proposal that will not raise the current tax rate. The bond proposal will affect every student, and highly focuses upon student safety and instructional quality upgrades. #74 - Transitional relevancy while "Everything Changes." With an announced shift of leadership responsibilities, Jeff and John discuss the relevancy of the Huron Forward Podcast as a continuing dialogue that provides an environmental scan for listeners on a local, regional, state-wide, and global stage. The Podcast's audience is connected with an eclectic guest list to provide opportunities that challenge existing perceptions or reveal new ideas for reflection or application. Huron Forward establishes a communication platform to promote, legitimize, and celebrate our locally successful programs, projects, and designs for sustainable, positive community achievement. #73 - Celebrating the Valedictorian and Salutatorian of the graduating class of 2018 from Au Gres-Sims School District. Au Gres-Sims High School Valedictorian, Lance Schwiderson, and Salutatorian, Brian Shmina, discuss their academic accomplishments and experiences as academic leaders at Au Gres-Sims School District, along with their future plans and goals. #72 - Two superintendents discuss educational paradigms in the continual quest to seek excellence in action. Dr. Stephen Bigelow, ( @stephencbigelow) Superintendent of Bay City Public Schools, joins the Huron Forward discussion in Podcast #72. With John on vacation, Jeff takes the opportunity to hijack the entire episode to talk about educational issues with Dr. Bigelow from the perspectives of two superintendents within the same regional Bay-Arenac Intermediate School District. As the guys converse about educational paradigms within the context of a continual quest to seek excellence in action, topics include; discerning the right leadership "fit" within organizational cultures, embracing social media, the concept of "co-opertition," equitable school funding, and disrupting the existing status quo perception of schools. #71 - Expressing Michigan's new vitality and planning for sustained success and progress. #70 - Celebrating STEM everyday for all students. Chris Woods ( @dailystem), master teacher and host of the STEM Everyday Podcast on remarkablechatter.com, joins this podcast as a featured guest to discuss the relevancy of STEM (Science, Technology, Engineering, and Math) in everyday life. Discussion ensues about the celebratory importance of the acronym as a central and purposeful theme of teaching reasoning, comprehension, and higher-order thinking skills attained through STEM conceptual frameworks and educational practices. Because STEM is literally everywhere, everyday, it must be infused into comprehensive daily instruction and understanding, rather than treated as stand alone "one-hit wonder" moments. #69 - Huron Forward: Lessons learned within a growth model of change. Jeff and John reflect on relevant leadership concepts shared by guests on previous podcast recordings. Dialogue identifies the purpose of the Huron Forward Podcast as a media platform that layers the celebratory story of the greater Au Gres region within a buffet of constituent communication choices, while increasing the capacity to build lasting relationships and partnerships. Linking the podcast concept as a growth model of change for new-age leaders, discussion focuses upon an article by Lou Glazer, titled, "Google finds STEM skills aren't the most important skills," which highlights the need for encompassing the 4Cs: Collaboration, Communication, Critical-thinking and Creativity, into rich blends of STEM and liberal arts experiential education opportunities. #68 - Being "BrandED" in new-age leadership. Judith Wilson, a thought-leading certified BrandED trainer with Trish Rubin, Ltd. and education consultant at the Executive Leadership Institute Council of Supervisors and Administrators in New York City, is a featured guest on this podcast to discuss new-age leadership and the power of professional connectivity and communication on social media. Drawing on her diverse experiences as an educational leader, and influenced connections with Eric Sheninger and Trish Rubin, co-authors of the book, BrandED, Judith shares her thoughts about branding, story-telling, and growth-mindset leadership. Engaging dialogue introduces the idea of "Edupreneurs," a concept that challenges new-age leaders to be thoughtful, action-oriented, and creative cultural architects who are able to recognize opportunity, and willing to embrace change. #67 - Collaborative community-building: "Working together for our future!" Erik Rodriguez, Interim Public Relations Director for the Saginaw Chippewa Indian Tribe, joins today's podcast as a guest to discuss collaborative community building within a "Working together for our future" framework. As the largest employer in Arenac County, and with a host of ongoing business development expansion projects, the Saginaw Chippewa Indian Tribe is committed to economic development opportunities, collaborative partnerships, and sustainable grant resource donations throughout the region to share their collaborative story and build a better tomorrow for our youth and future generations. This podcast is the second part of a discussion with Saginaw Chippewa Indian Tribal leadership that began on Podcast #14 during season 1 ( https://www.ags-schools.org/season-1). #66 - The magic of branding: Making the typical remarkably atypical. Trish Rubin ( http://www.trishrubin.com), owner of Trish Rubin LTD, and co-author of BrandED: Tell your story, build relationships, and empower learning, joins today's Podcast as a special guest to discuss why "Brand" matters to schools and communities, and what brand IS and what brand IS not. Discussion centers on identifiable processes of branding typical schools and organizations into remarkably atypical entities. A "+1" model of capacity building reflects the purposeful importance of linking transparent communication and storytelling with new ideas and engaging actions that build stronger relationships. #65 - Building the communication framework to share "Our Story." Casey Mikula, Apptegy's Director of Sales, ( www.apptegy.com) joins today's Podcast as a special guest to discuss opportunities to build and scaffold broad, joint communication platforms. Au Gres-Sims was the first school district in the State of Michigan to partner with Apptegy to create a mobile "app" solution for stakeholders and synchronously overhaul the district's website. Although Apptegy "helps school leaders share the story of every student," in reality the designed partnership with Au Gres-Sims has provided the means to share the story of an entire school system, from multiple perspectives, to create a compelling community profile. #64 - Building community leadership capacity with joint collaboration and "saturated" communication platforms. Jeff and John are graced with guests from Swartz Creek, Michigan. 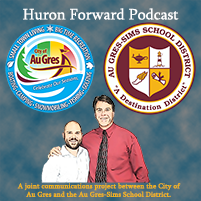 Adam Zettel, Swartz Creek's City Manager, Ben Mainka, Swartz Creek Community School's Superintendent, and Rodney Hetherton, Assistant Superintendent from Swartz Creek Community Schools, visit the Au Gres-Sims School District campus for a Huron Forward Podcast. A lively discussion ensues about the importance of sharing and celebrating a community's "story" within the context of full transparency, and the need to examine creative communication platforms in order to set the table for a community-wide "communication buffet." #63 - Creating Purple Cows in Au Gres. A poignant discussion about identifying and branding "Purple Cows." Reflecting on the article Brewing a remarkable school brand: How to be 'anything but typical' by Trish Rubin ( https://www.districtadministration.com/article/brewing-remarkable-school-brand), conversation reviews the steps taken throughout the greater Au Gres area to promote the remarkable and unique qualities of our organizations. #62 - Welcome to season 4; Episode 62! The podcast has a new name, and new look, but same dedicated mission to celebrating and championing the greater Au Gres area and "Huron Forward" region. Listen in to hear about fantastic new constituent communication resources.